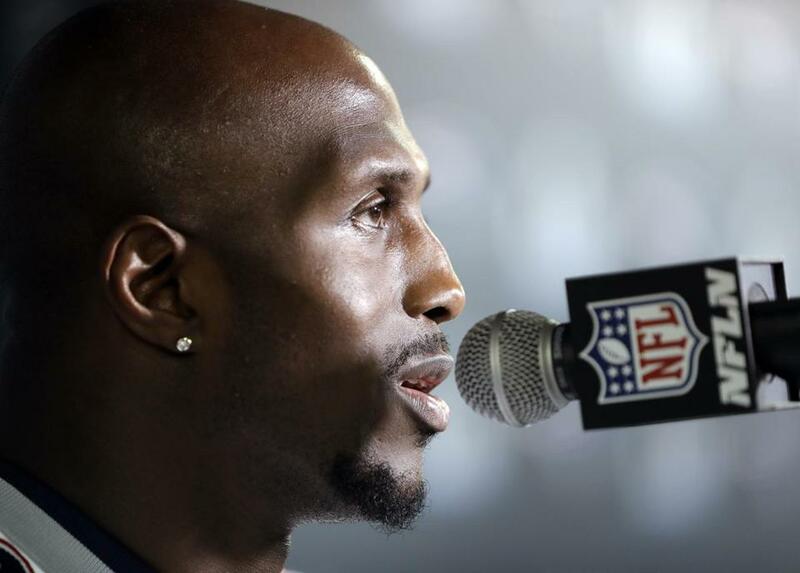 Devin McCourty at a news conference during Super Bowl week. THE NEW ENGLAND PATRIOTS represent a six-state region and we are grateful for many things, including our region’s national leadership in improving our justice systems, especially for children and youth. The Patriots organization cares about the safety of our communities and we know the best place to start is with our youngest members. If we get it right with our youth, they will become our future leaders, neighbors, and trusted colleagues. In some ways, we are ahead of the game. All six New England states recognize the importance of accountability, but children are not adults and should not be treated as such. Each state has a separate juvenile justice system that aims to provide rehabilitative, developmentally appropriate responses for kids who have made bad choices. While we have made strides in this area, there is still plenty of room for improvement as we search for the appropriate age range for the juvenile justice system. Unfortunately, we end up sweeping in kids who are too young, and then we exclude older teens who would benefit the most. 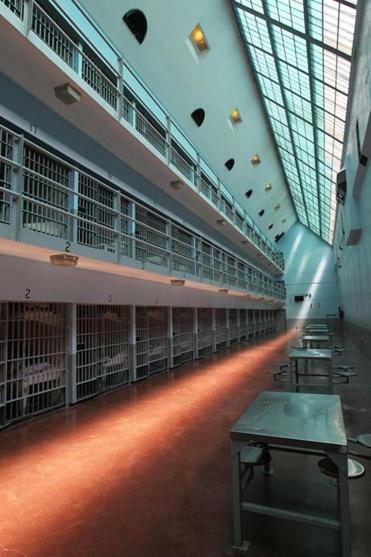 Right now, the Massachusetts juvenile system applies to youth ages 7 through 17. This means 7-year-olds who are in the first grade — children reading “Green Eggs and Ham” — can be arrested, prosecuted, and confined. Yet, 18-year-olds who are still in high school are automatically charged as adults and excluded from the juvenile system, regardless of the crime. This age range is an outdated policy that compromises public safety. It should be obvious that very young children cannot understand the court process and lack the reasoning to participate fully in their own defense. In fact, mere exposure to the justice system can be particularly harmful — both to them and to society. Seven-year-olds would be better served by agencies like child welfare or mental health. As for the upper age of the juvenile system, research shows what any parent knows — that celebrating an 18th birthday does not magically transform everyone into a mature adult. The physical, emotional, and practical transition from childhood to adulthood is a lengthy process, stretching into the mid-20s. The American Academy of Pediatrics defines youth as up to age 21 — and even then the academy has noted that this age is an “arbitrary demarcation” since continual growth occurs into the 20s. Fortunately, research shows that most youth will age out of crime by age 25, if given the opportunity to develop and mature. Sadly, it is our most vulnerable youth — children of color — who bear the brunt of our misguided age policies. Black and Hispanic youth become system-involved at shockingly disproportionate rates that cannot be explained by differences in behavior. In Massachusetts, children of color constitute approximately one-third of the state’s youth population, but two-thirds of those committed to the state youth correctional agency. Although there are no Massachusetts data publicly available for 18-year-olds, we know that the national rate of incarceration in 2012 was more than nine times greater for black males ages 18 to 19 than for white males. This issue of the age of juvenile jurisdiction takes on particular importance as New England struggles with a sweeping drug epidemic. A recent report by the Columbia University Justice Lab revealed that substance-related offenses in Massachusetts are the leading cause of arrests for 18-year-olds, that two-thirds of people in treatment for opioid addiction started using opioids before age 25, and that opioids accounted for more than a quarter of all fatalities in the 18 to 24 age group. To avoid such tragedies, we can begin by including late teens in the much smaller, individualized treatment-oriented juvenile justice system. That will give us a better chance of preventing and addressing substance use disorders for the youth who are the most vulnerable to addiction and its consequences. We strongly support the proposal being considered by the Massachusetts Legislature that would first raise the lower age of juvenile jurisdiction from 7 to 12, and second, raise the upper age from 18 to 19. Both moves would constitute more appropriate and effective responses to the needs of our youth. We also support Vermont and Connecticut in their ongoing efforts to consider and adopt similar proposals. Finally, we know that we have a lot left to learn. We believe that research should drive strategies to right-size the juvenile justice system, thus guiding our youngest and most vulnerable citizens to healthy, safe, and productive adulthood. Devin McCourty is a New England Patriot player and charter member of the Players Coalition; Jonathan Kraft is president of The Kraft Group and the New England Patriots; Robert Kraft is chairman and CEO of The Kraft Group.